What is the trend of a higher timeframe than the one you might be trading? 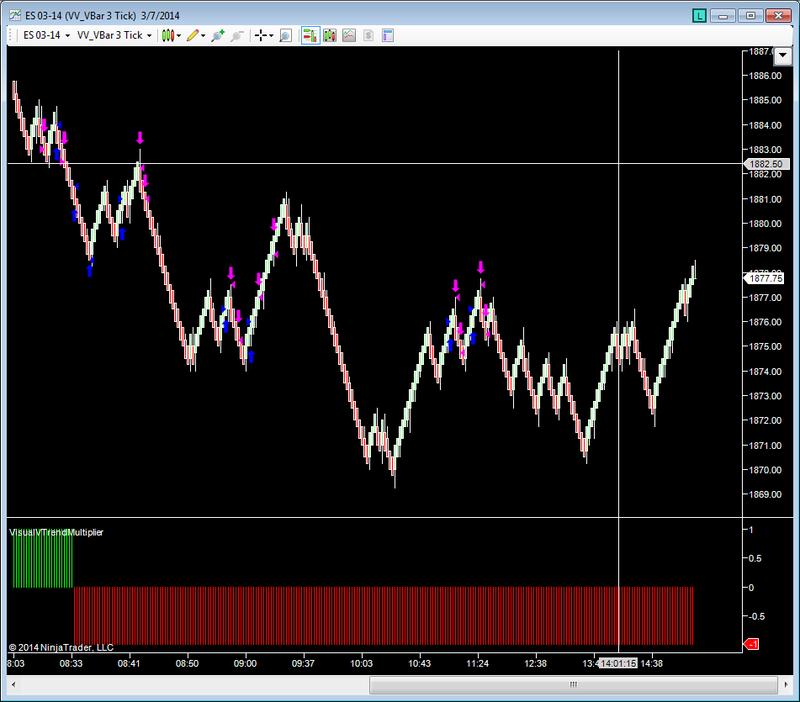 VisualVTrader's VisualVTrendMultiplier indicator uses the same algorithm as the VisualVTrader's VisualVTrendDefined indicator, but displays the market's trend based on a user selected multiple of the current price chart time frame. So if you are using a 5 minute bar, you could ask it to multiply by 6 to get the 30 minute trend. In the current image, we are using a 3 tick Visual V VBar, and the multiplier is set to 3, so it is displaying the trend 3 times higher or one might say on a 9 tick Visual V Vbar. Do you want to take a long trade when the bigger trend is down? Maybe you do, but this indicator can help keep you on the right side of the bigger trend and you can still trade the time frame you want to trade.